Sold in days for $30,000 over asking, despite there being 4 other homes for sale on the same street before this one came on the market. They were all still for sale even after this staged home sold. Six Elements brought in some rental furnishings to complement items belonging to the owners. What colors should we paint? There is too much to do. Where do I start? Does it matter if we don’t have a dining room? What should I do about that carpet? How should I show this room? When should I have my garage sale? How will I cope with real estate showings? When you hire a professional home stager or house fluffer, a key part of their role is calming these anxieties and answering your questions. 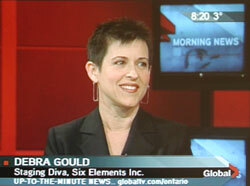 If you’re thinking of hiring Six Elements to stage or fluff your home, contact company president Debra Gould. You can also call her at 416-691-6615. Ask lots of questions. This is your chance to see if you feel comfortable working with Six Elements and our approach to home staging. Sold for $318,000 on an asking price of $299,000. This was an empty house staged with rental furnishings provided by Six Elements. 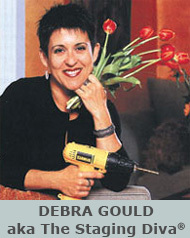 As a leader in the home staging field, Debra Gould is frequently profiled in the media and writes articles about the home staging industry for various publications. 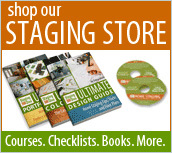 Debra Gould also operates Staging Diva, a worldwide home staging business training company with over 4,000 home staging students worldwide. When you discuss your home staging needs with Debra Gould, it’s your opportunity to see if you will be comfortable working with her and it’s her chance to learn more about your needs and explain how she can help. If she’s too booked up to take your project on personally, she will refer you to her network of independent home stagers. It’s hard to believe this is the same corner of the bedroom! Similar techniques were used throughout this home which sold for $818,000 in three days on an asking price of $799,000 after staging by Debra Gould of Six Elements Inc.
How do you know if a home stager is qualified? Sold in one day for $100,000 more than client expected to list for. The client followed a 12 page list of staging recommendations from Debra Gould and did the work themselves before putting their home on the real estate market. The short answer is, you don’t know if they are a qualified home stager without speaking with them to determine their level of knowledge and confidence about home staging and real estate, and reviewing their home staging portfolio. You want to hire a home stager who is confident enough to answer your questions directly and who isn’t shy about giving you their honest opinions. Otherwise, you will waste a lot of time trying to figure out what really needs to be done to prepare your home for sale on the real estate market. There is no independent organization that monitors whether a Home Stager or House Fluffer deals with their clients professionally or the quality or effectiveness of their work. While some home stagers or house fluffers claim to be “accredited” there is no independent and official organization that grants such accreditation. Accredited or certified home stagers have essentially purchased their “credentials” by taking a short course which is open to anyone. There are rarely if ever any criteria for being “accredited” other than paying for a course. Sold in 6 days for $40,000 over asking. 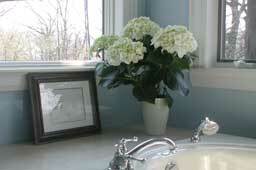 Client moved to her cottage and left all the staging work for her city home to Debra Gould and the Six Elements team. Plenty of industries are unregulated, that in and of itself is not an issue. It’s only a problem if clients rely solely on unofficial credentials without realizing they aren’t official, and do nothing else to establish whether this is the right home stager for them to hire. A more serious problem in the home staging industry is that some teaching organizations give their students a portfolio of photos to use in their marketing. This practice is entirely misleading. 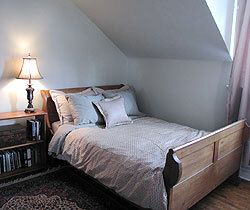 No home stager should use any decorating or staging photo that is not from a project they personally worked on! 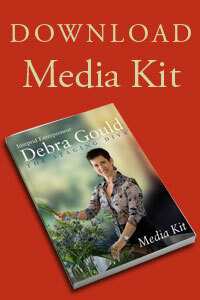 Debra Gould is a featured home staging expert in major media across Canada and the US. That’s why it’s important not to take things for granted and ask questions. A professional home stager should have credibility because of their obvious knowledge and by virtue of their portfolio, regardless of what “credentials” they may have. You should also be able to learn something about the home stager by doing a Google search on their name and their company name. If they have not invested in a professional Internet presence, they may not be that committed to their home staging business. If you are planning to sell your home for $200,000 or more, and especially if you have limited time before your house hits the market, anyone you hire should have a track record of homes they’ve staged. 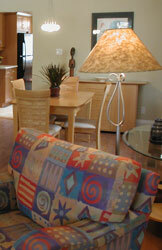 It is foolish to hire a home stager based on price alone. You may save yourself a few hundred dollars in staging fees only to lose the tens of thousands you could have earned if your home was staged properly from day one and sold more quickly and for a higher price. Ask for references and photos of projects they’ve actually worked on (not photos they got from a course). 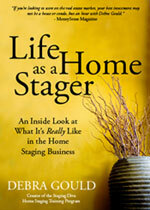 Try to determine whether the home stager is a recognized as expert in the field. Are they quoted by the media? Do they speak at events? Have any of their projects been featured on TV or in print? Do they teach courses or publish articles on the subject? Have they worked on houses in your price range and in a variety of styles? House Fluffing or Home Staging is more than just “decorating” or “de-cluttering.” Done properly, it is merchandising a home’s best features, down playing its flaws and understanding the psychology of what makes a person fall in love with a home. Before you hire a home stager or house fluffer, find out how much they really know about real estate. Have they bought and sold their own homes in a variety of market conditions? Do they really know what it takes to turn a house into a “hot property”? 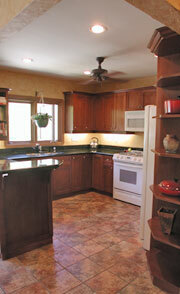 Home staging clients followed the advice of Debra Gould, did the work themselves and sold for $71,000 over asking. Done right, home staging / house fluffing provides an excellent return on investment — helping you sell your home more quickly and for more money. When you’re ready to learn more about how Six Elements can help you decorate your house to sell, email or call Debra Gould at 416-691-6615. Through her personal Home Staging Coaching Service Debra Gould offers advice by phone and email to clients all over the US and Canada. “Virtual Staging,” as this is also called, is an excellent way to have your questions answered by a home staging pro as you need help. It’s also less expensive than an in-home consultation. 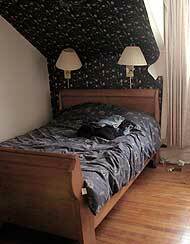 If you want to do most of the work yourself, and your home is already furnished, this is a good option. Or if you’d like to meet with a home stager in person, no matter where you are in the world, visit the Staging Diva Directory of Home Stagers to find a home stager in your area. 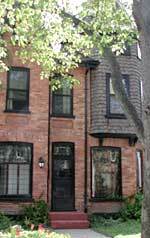 -- Carmen Berlie, Sutton Realty, Montreal Home repainted. Lighting, furniture and art replaced. Sold in 5 days at $30,000 over original estimate— during slow month of August.